Need a plumber? Paddington is our neighbourhood – we’ve based just a few minutes away, off Ladbroke Grove. 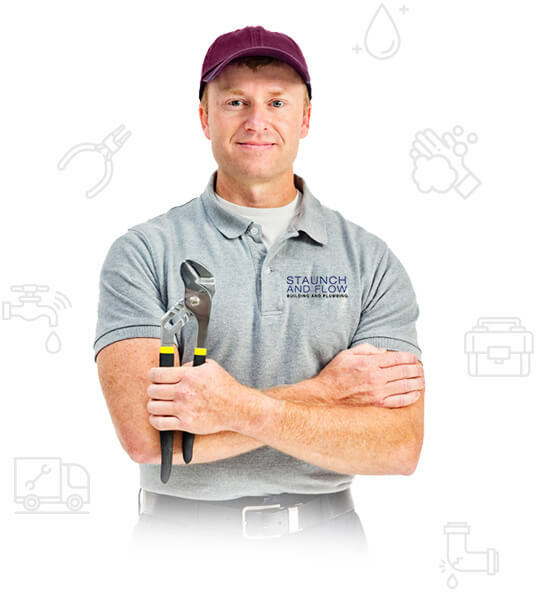 Staunch and Flow is Gas Safe-registered and Aga/Rayburn-accredited and we’re ready to go to work for you to solve your plumbing and heating problems and take care of your servicing or certification needs. No job is too small, or too large. Whether it’s Paddington, Bayswater, Hyde Park, Westbourne Green, Little Venice or Notting Hill, we’ll be happy to hear from you and hope that we can help, whatever needs doing. I cannot recommend the service provided by Staunch and Flow highly enough.I had a problem with my shower only supplying lukewarm water. Two previous plumbing companies had misdiagnosed the problem and had not been able to fix the shower.Fergus, Sam and the rest of the team managed to not only diagnose the problem but complete the job very quickly and with a minimal amount of disruption. They were very fair with how much they charged for the job as it took longer than they initially expected to diagnose the problem and they were very happy to pop back to the flat in order to make a couple of minor tweaks.A very professional company and I will continue to use them going forward. We just used Staunch & Flow for a second time. This time for a boiler service. I was pleased that the engineer they sent was Fergus who had come on the previous visit and was exceptionally polite, friendly and efficient as was the apprentice he brought with him. Fergus arrived on time and got straight to work, explaining what he was doing and seemed very conscientious. Choosing a plumber or gas engineer can be a minefiled but I don’t hesitate to recommend this small company.